Planting and growing mint in a garden planter is easy and fun to do. Crush a sprig between your fingers and you will smell that heavenly aroma that is so popular and yummy! It is cool, soothing and it makes your mouth water. It's heavenly aroma also chases away the blues that can overtake you when temperatures are cold and the days are dark. 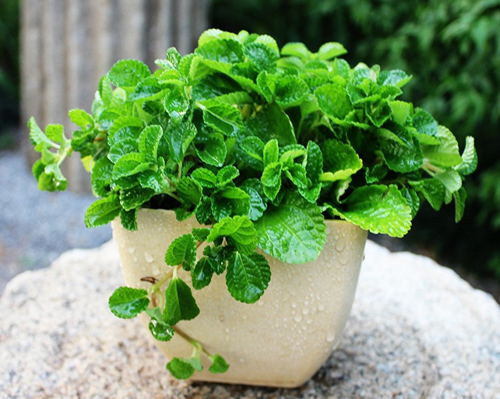 Boost your vitality and refresh your senses, plant some mint! 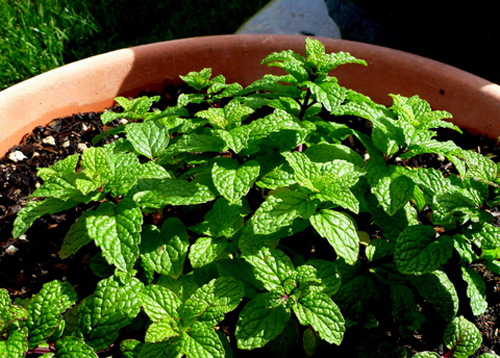 There are so many kinds of mint to consider when planting mint in garden pots. Each one has a unique flavor and smell. When you are at the local nursery, check out the seed packets as well as the starts to choose from. 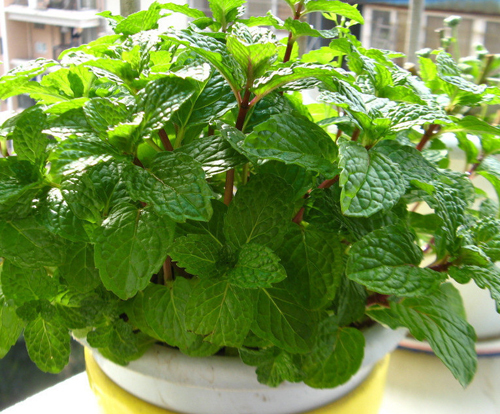 Chocolate mint has grown in popularity and is very commonly available. Look for Moroccan, Cuban & Egyptian that you can use in food preparation. Since mint is invasive like most herbs, it is perfectly suited to pottery. By placing the plant in a garden pot you can keep the roots from spreading and taking over your garden. Select a large wide mouth bowl. Since they tend to be shallow it is a great style for the mints root system. Go with a concrete, poly resin or stone planter so that you won't have to re-pot once the plant takes off. Terracotta is meant to break down over time but it also great for healthy root systems because it breathes. Every heard of a Mojito? Well here is a simple recipe that is great with your home grown mint. The secret to a good Mojito is lots of fresh mint. 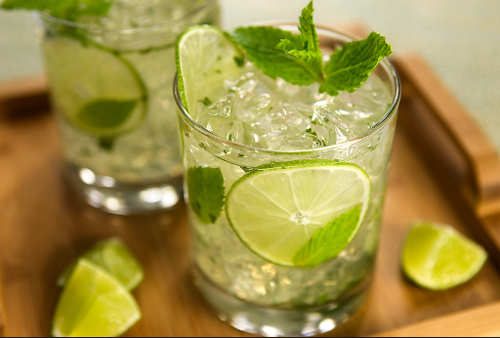 In a 8 oz glass combine 20 rinsed mint leaves & 2 teaspoons superfine sugar. With a wooden spoon, pound mint leaves with sugar to coarsely crush. Add 4 Tablespoons light rum, 3 tablespoons fresh lime and mix well. Fill glass with ice and 4 tablespoons chilled soda water. Garnish with more mint. Read more.....How thirsty are your potted plants? Love the tips. we use mint a lot at our home and so these tips were really helpful.